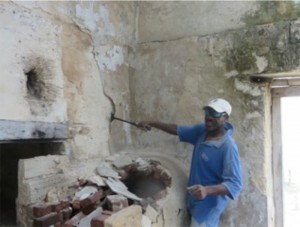 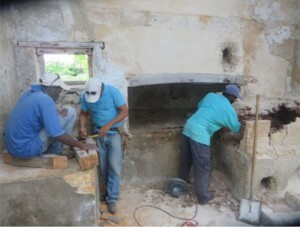 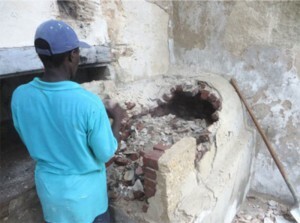 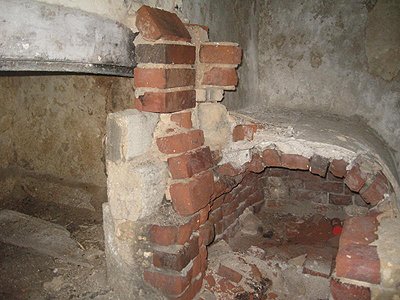 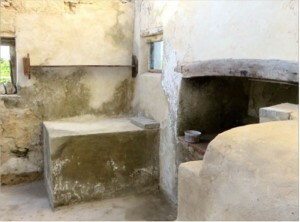 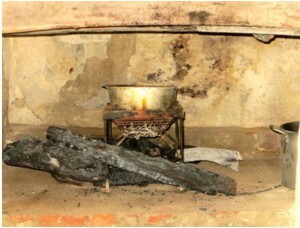 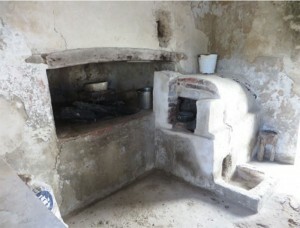 Inside the Bermuda kitchen – the oven and chimney. 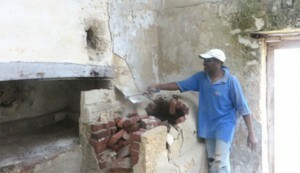 We went in the bush to find the balance we needed of red brick. 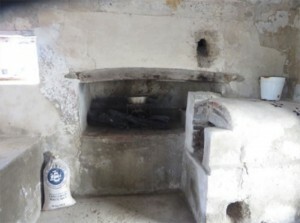 We then had to chip off old plaster from the ovens and adjacent walls and clean the flute….Notice the wood frame above large oven…this was polished to bring up the grain. 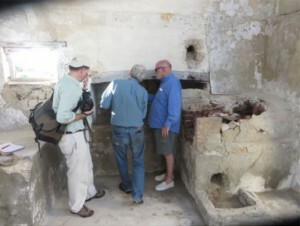 The historic architects made critical notes which are documented on video.